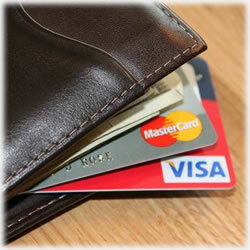 There’s no denying balance transfer credit cards are powerful forces, when used properly, in the credit card industry. For consumers, they serve as a window of opportunity to pay down credit card balances with few, if any, worries over interest charges for a specific amount of time. For the credit card companies, it’s an ideal way to build strong customer relationships. That said, while the foundations for all balance transfer offers are similar, there are significant differences in many of these offers that will play a big role in just how impressive your financial bottom line looks. This week, we take a look at a few of the balance transfer offers on the market today with a goal of highlighting the differences so that you’re better able to choose the one best suited for your needs. There’s been much written on whether or not an annual fee is a deal breaker for consumers. Many believe it’s a small price to pay for the convenience and benefits. Others, however, say the economy is just too tough to justify any additional fees. Basically, it comes down to how each card holder feels. Knowing these fees up front is your best course of action – and they run the gamut, too. For instance, the Visa Black credit card has a $495 annual fee. That averages out to slightly more than $41 a month. That’s a lot for some folks, especially those who pay their balances off each month to avoid finance charges; still, it’s one of the higher end credit card offers with plenty of perks. The Chase Slate Vertical Card with Blueprint is another higher end (and by “higher end” we mean that usually a flawless credit history is required to qualify) offer. It has no annual fee at all. Another favorite no annual fee choice is found in the Discover More card. It’s been ranked at the top of consumers’ “best offers” for fifteen years. A final word on annual fees: be sure to read the fine print. You might accept an offer that has a no annual fee perk only to realize it was limited to the first year. We’ve said it before, but it bears repeating: a rewards card that offers units you would never use, such as airline miles, is not a rewards card for you. There are simply too many offers available for any consumer to settle for less than perfection in terms of a card’s benefits. Cash back, airline rewards, gas rewards, hotel rewards – the list is plentiful. While the Chase Southwest Airlines Rapid Rewards Plus Credit Card is turning heads with its generous free flights programs, if you don’t fly, then it really serves little purpose for you. Instead, consider the Discover More credit card offer with its cash rebate program. For those who love the view from 30,000 feet, the Southwest offer might be right up your alley… or flight path. Finally, for those looking for the best balance transfer card offers, the one thing you don’t want to miss is the length of time associated with any 0% APR intro fees for your balance transfers. If you take advantage of an offer because it allows balance transfers at the introductory rate, don’t forget to familiarize yourself with the details. Some offers allow 15 months while others can expire in as little as six months. Knowing these details means more money in your bank account. Also, be sure you know for sure if that intro rate is applicable for purchases only or balance transfers along with your purchases. The Chase Slate Vertical Card allows a 15 month 0% APR period for purchases only while the Discover More credit card allows you the same 15 months, but also also extends that rate to your balance transfers. Bottom line is that an hour spent doing the research is time well spent when it comes to choosing balance transfer credit cards. If you’re looking for new ways to budget your finances, it’s important to be thorough in your efforts, or else you’re defeating your purpose before you ever even get started. Read the terms and conditions to cover the proverbial bases and don’t underestimate the difference a few months can make.